Beauty is felt, before it is understood. While making something beautiful, we discover patterns that resonate. An artist will sometimes find common threads linking mathematics, natural forces, and our own mythology. Philosophers, mathematicians, and scientists of every field all originated from the same cloth: creative people seeking a universal order. Great artists tap into that knowledge as they master the language of aesthetics, which most of us can hear but not speak. Beauty is important. It is not the domain of a cultured elite – any person can tell a bad tune from harmony. That rule is universal, from music to architecture to a fleeting moment in nature. The presence of beauty lifts our spirit. Once, we reserved our greatest splendor for the public realm – city squares, gateways, and places of assembly that encouraged pride and civility. Can we decode something so vague yet self-evident? How can we design the intuitive? 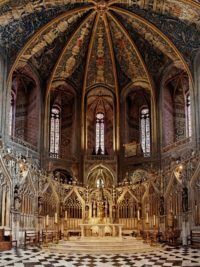 Symmetry is one of the most powerful aspects of beauty; a resonance of proportion that unites various scales of a composition. It creates a satisfying sense of order. When we detect symmetry, we smile knowingly – we believe the subject was created with intent and skill. 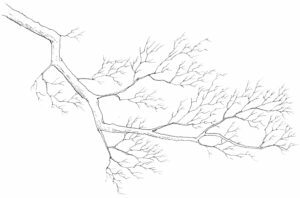 It reassures us that an order defines our universe, and we may yet grasp it; a window to understanding. 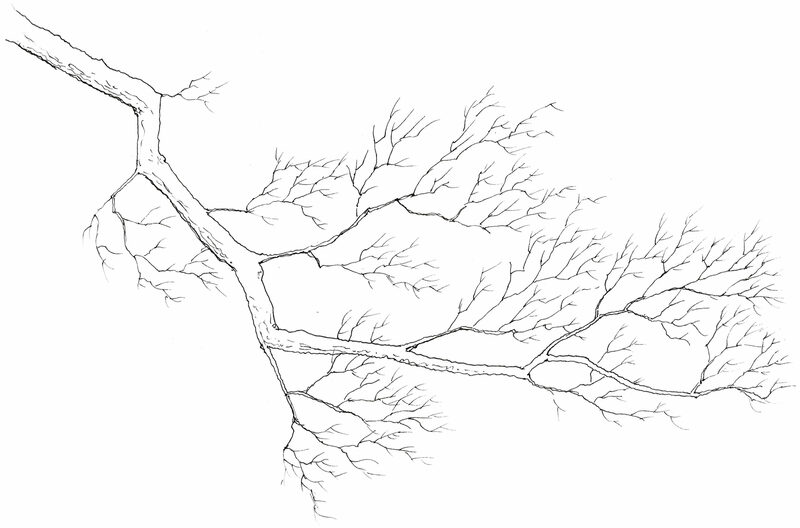 We find it in the branches of a tree, the forks of a river, and splintering lightning. Symmetry is also present in good design. 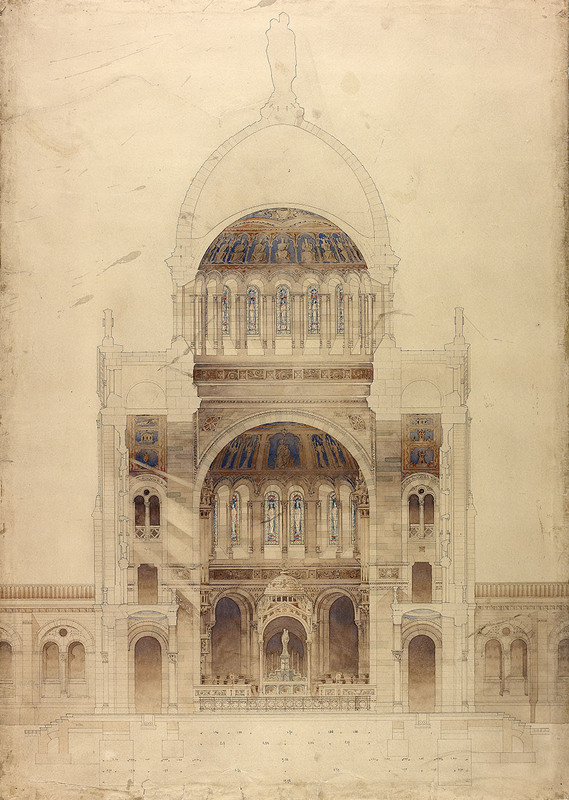 Consider this project for a chapel by Eugene Bourdon, a student of the Ecole des Beaux-Arts in the 1890s. The floor plan has grace, order, and solidity. Looking closely, similar ratios appear at the finest scale of the plan. The rhythm of the main crossing vault and corner masses carries through the vaults and piers that nest within those corners. 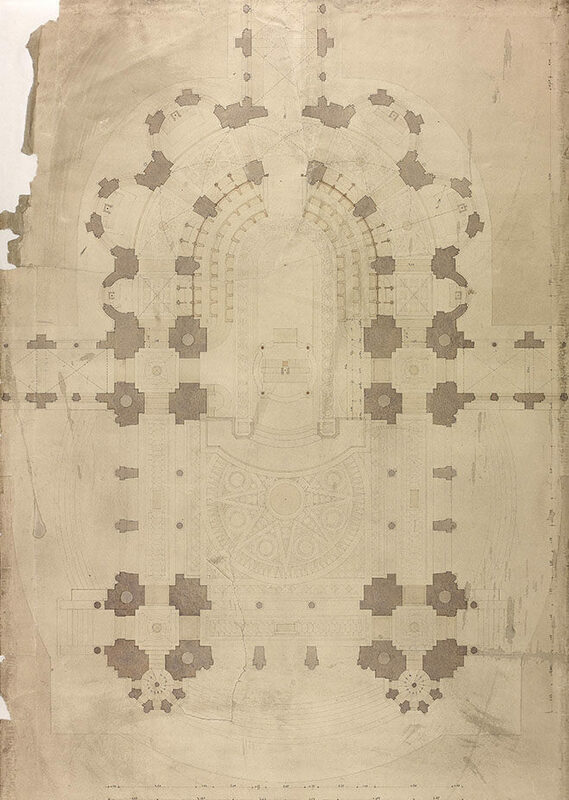 This “A-B-A” proportion could be applied throughout all tripartite elements of the plan – window divisions, the columns of the main façade, and more. Carrying a dominant proportion through a design is just one step. What proportion should we choose? I believe that a building’s material suggests its form. For trabeated construction, consider the difference in span among common materials. Inevitably, the Greeks who built with marble devised a far different order than the Japanese, who mastered carpentry. The resources of a culture influences the formal language of its architecture. And with a given material, we have choice. Stone spans the furthest as an arch, which utilizes its compressive strength. There are many forms of arches. The earliest development from post-and-lintel was the corbel: stepped blocks that form a triangular opening. 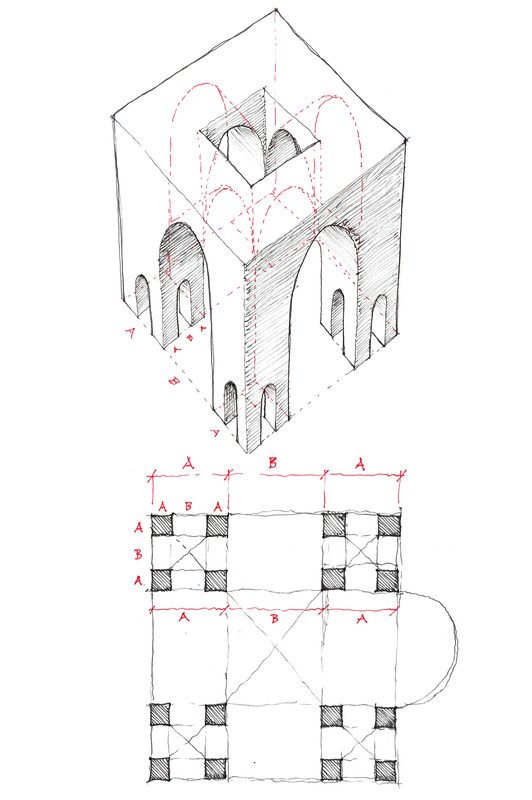 This is not a true arch, since the masonry will fail in tension rather than compression. The next types are the jack arch and segmental arch. 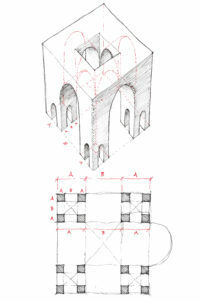 In general, the flatter the arch, the more lateral reinforcement must support it. 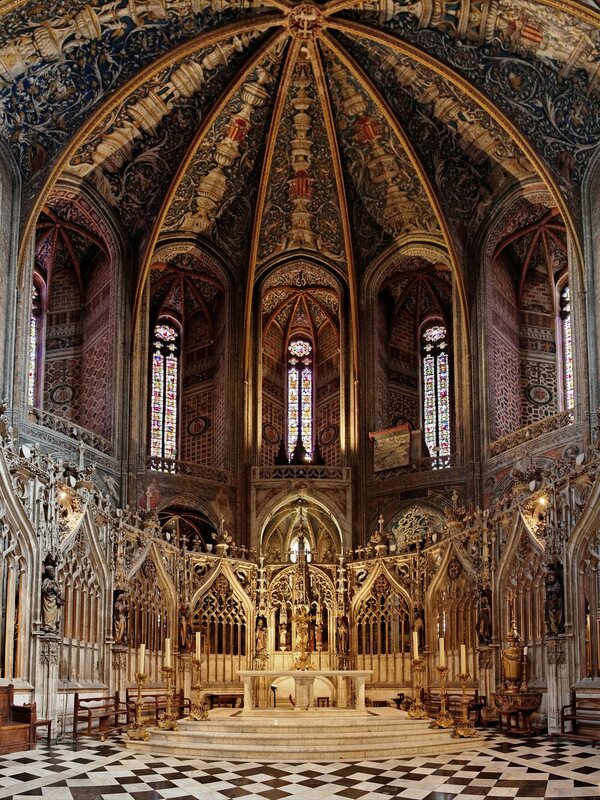 The catenary is designed to perfectly follow the force path within any arch, doing away with the need for buttresses. Antoni Gaudi used this form whenever possible. 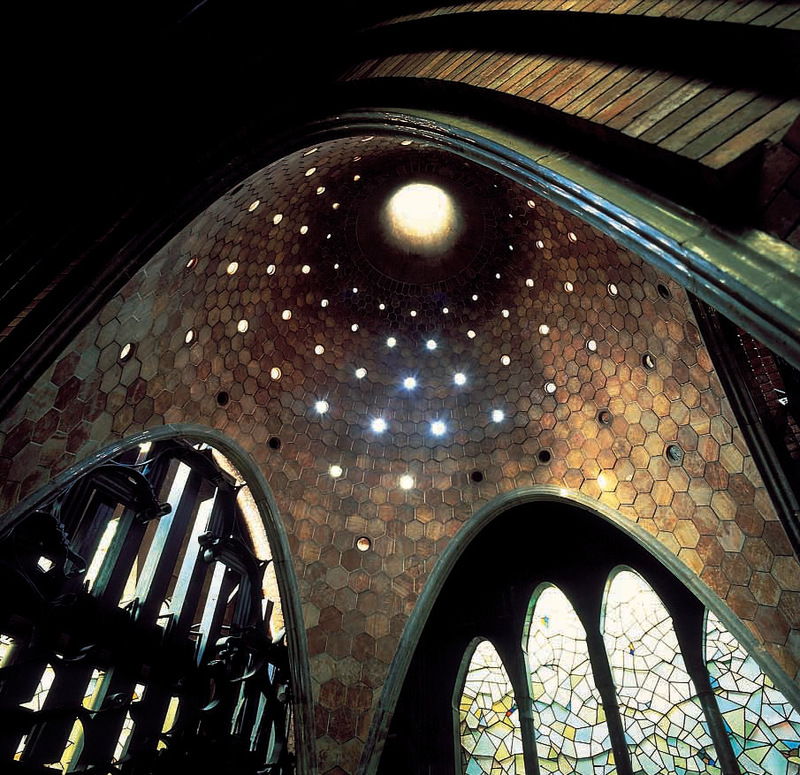 In the cupola of his Palau Guell, the catenary appears everywhere. A beautiful composition is not arbitrary. What seem to be mysterious, intuitive qualities often have their roots in practicality. Thus, the material of a building is fundamental to its proper design. We should emulate Nature, the greatest designer, by following the will of our medium. There is great beauty in simplicity.